We are the only fossil quarry in the world that allows you to * keep every fossil you find. You not only get to keep all of the common fish you find, but you will get to keep rare fish like Gar, Paddlefish, Amia and Stingrays; reptiles such as Crocodiles, Turtles, Snakes and Monitor Lizards; Mammals like 3-Toed Horses, Bats, small Rhinos, small Camels and a variety of small carnivores; even birds like giant Frigate Birds, Raptors, Parrots and many more! All other quarries only let you keep certain, less valuable fossils, but with us you get to keep them all! The typical digger for a day leaves with more fossils than they know what to do with. 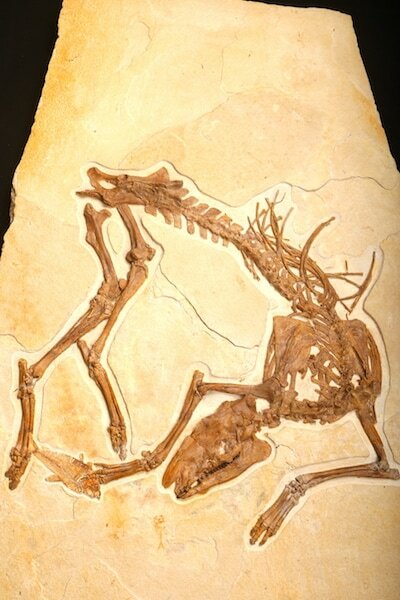 This is perhaps, the most prolific fossil site in the world and we will help you maximize your experience. We are located just 45 minutes from Bear Lake, 45 minutes from Evanston, 2 hours form Yellow Stone, Salt Lake City and 2 hours from Park City. This is the perfect vacation activity! We just has a 10 year old boy find a beautiful fossil bird! Yes, he got to keep it! We just had 3 Turtles found in a single day!!! July 1st, 2017! Three different species, one possible a new species and two over 4 feet long. We supply all of the tools you need to harvest the incredible fossils found in our quarry. We also provide free cutting stations where you can trim down your fossils and have them ready to transport home. Fossils from the Green River Formation are among some of the most sough after and collectible fossils on earth. They are purchased all over the world, creating a huge commercial market for them. Because of this, they also have tremendous value. In a given day of digging our visitors average between 35 and 100 assorted fossils per person. There is no other location on earth where you will find this volume and quality of fossils. Here at American Fossil and FishDig.com we are so confident you will find a much higher value in fossils than your cost to dig that we guarantee it, or we will pay you the difference in cash or fossils. In order to reach the productive fossil layers, we must remove hundreds of cubic yards of topsoil and rock. In order to do this, a variety of heavy equipment must be brought in and hundreds of man-hours must be spent. All of this comes at a very high cost. We try to keep this cost as low as we can so we can pass on the savings to you. We staff our quarry with great individuals who have a deep knowledge of the quarry, the fossils within it and the best way to extract them. These individuals are there to work alongside you and make your trip as exciting and productive as possible. A large percent of the price goes to help pay these great people for their time and service. To operate a quarry like ours, you need a variety of equipment, tools, fuel and services. Each of these items enhances the experience of our guests. We try to maintain the best atmosphere and give every guest an incredible experience.